The subject of women empowerment has become a burning issue all over the world, including India, since the last few decades. Inequalities between men and women, and discrimination against women, have also been age-old issues, making Indian women fight for their right to education and gender equality. What already exists for men has to be demanded by women. Being a pre-school teacher in an all-girls school, this subject is very close to my heart. I am proud to tell you that in 2015, I will complete 25 years in the teaching profession. 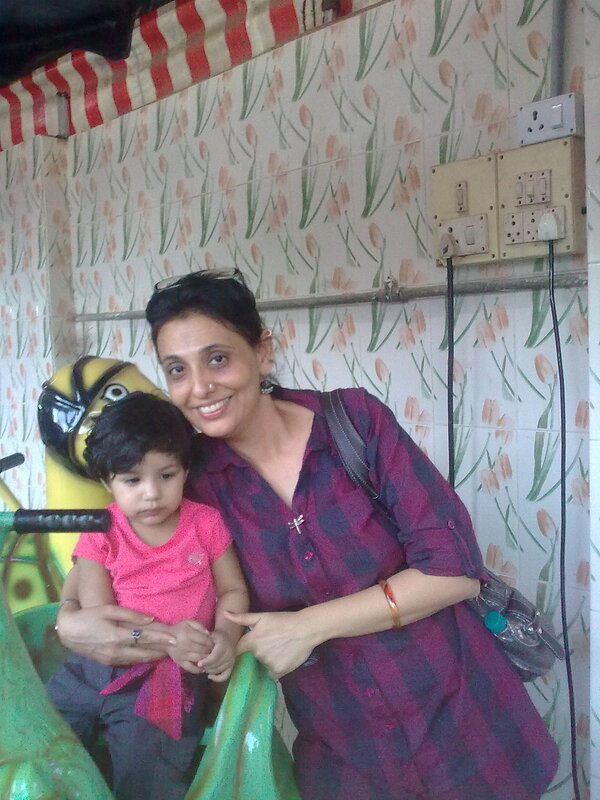 Given my experience of working with and for the girl child, I have realized that if you care enough, you can change it. I am proud to see students from my previous batches in almost every field: architecture, law, financial services, engineering, medical and IT jobs. Economically independent women feel more confident about their personal lives. I marvel at agencies and other companies who encourage and go all out to empower women, especially in the rural areas. M-Pesa is a mobile money transfer service from Vodafone that allows millions of migrants in big cities like Mumbai to transfer money conveniently to their families back home through the mobile. Their loved ones receive the money straight in their mobile. They can then visit a nearby M-Pesa agent and show the receipt SMS and an ID proof to get their money instantly. This saves them both, time and money, in traveling many kilometers to the Bank, as most of these villages are in interiors of the state. This time around Vodafone M-Pesa decided to educate these women, who receive their money from their husbands or sons, on self-defense. The tool used is an Umbrella which has self-defense pictures painted on it, as most of these women are not educated and hence cannot read or write. 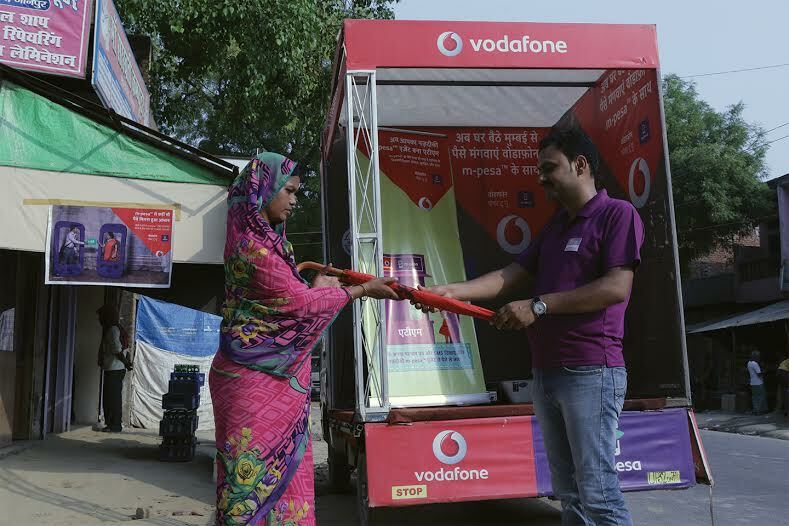 Take the example of Mrs. Urmila Devi, a lady in interiors of Jaunpur district in UP-East, who regularly receives money from her husband, who works in a factory in Mumbai, through Vodafone M-Pesa. When she visited her nearest M-Pesa agent for cashing-out the money her husband had sent, she was also gifted the Self-defense Umbrella, which she can now use as a tool for safety while traveling long distances and also learn self-defense techniques through the pictures on the umbrella. 200 such umbrellas were distributed to women in many areas in the rural interiors of India. It is a beautiful, long, sturdy, red umbrella carrying easily-comprehensible pictorial references of self-defense techniques that can be used by women in their hour of need. It is, furthermore, specially designed as a weapon that could be used by them in an emergency. Check out this video to discover the Vodafone Umbrella even better. Vodafone has harnessed the power towards proactive change with its M-Pesa and Self-defense Umbrella Initiative. It is a great effort to promote the economic and social empowerment of women, especially in the rural areas. That is the path of great change. Great courage in those, who see a need for change, and are willing to do what it takes to affect that change. Kudos Vodafone!! Nice efforts by Vodafone.. I hope this will inspire other big brand to do for society. I hope so too, everyone should be a responsible and work towards bettering society.